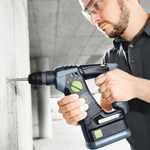 Combined with a compact and ergonomic C-handle design, the BHC's light weight and low vibration makes for efficient and comfortable one-handed use, whether in extended use or overhead applications. 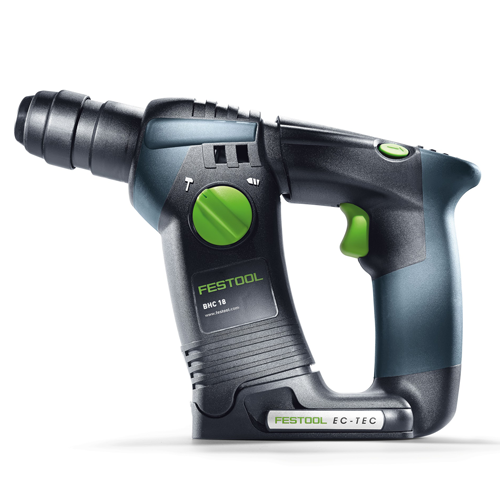 It delivers a streamlined pressure point, resulting in greater control and more comfortable handling, all while maintaining power and capability, even in hard to reach places. 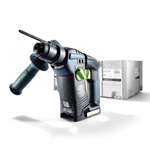 Built on Festool's existing 18 V 5.2 Ah battery platform, the BHC is supported by a complete range of SDS bits, as well as the complete line of Centrotec accessories. 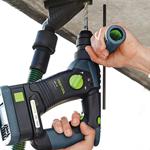 BHC 18 Basic Includes: BHC 18 Drill; Depth Stop; Side Handle; and SYS 2 Systainer.